Dark spots on your face can be one of your scary dreams. Dark spots on your skin may be due to pigmentation. These dark spots can vary from light brown to dark brown or gray brown. 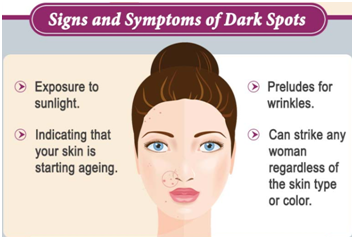 Sometimes, the cause of these dark spots is unknown but there are some factors which make the condition worse like UV radiation, skin disorders etc. 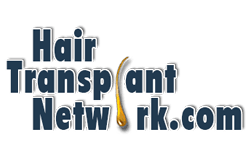 Chemical topical or treatments and home remedies are also available. Chemical treatments like chemical peels, laser therapies and dermabrasion are considered to be effective. Topical agents include corticosteroids, kojic acid, hydroquinone, retinoic acid and glycolic acid are recommended for the dark spots. Healing also comes from nature. Home remedies have proven to be useful for treating various disorders including skin disorders also. Following are some agents which can be used in home remedies for dark spots on face that will help you to deal with your marks. 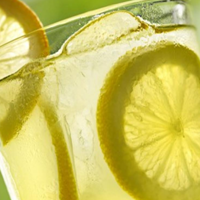 Lemon: Lemon contains anti-oxidants that help to prevent skin problems like acne, dark spots, aging etc. It is rich in vitamin C which falls under a de-pigmenting agent. It acts as a perfect bleaching agent, reducing the dark spots. Orange peel: IF you are throwing away the orange peel, stop doing this from now onwards. Orange peel contains more vitamin C and calcium than pulp. It has the property to fight free radicals and rejuvenating new skin cells. Orange peel will draw out all the impurities and toxins from your skin. It will bleach out all the dark pigmentation on face and will give you a flawless glowing skin. Orange peel is considered as the best dark spot remover. Tomato: Tomato contains the powerful carotenoid i.e. lycopene. Lycopene is rich in anti-oxidant, which will remove pigmentation on face. This juicy red vegetable can give you really a healthy and glowing skin. Tomato contains vitamins A, B and C- boosting collagens, reducing dark patches on face, fights free radicals and also maintains the elasticity of your skin. Cucumber: Everyone finds cucumber cool but do you know why cucumber is so cool? Cucumber has the 96% of the water content. Yes, higher the water content will, more the moisturized and hydrated will be your body. Cucumber contains cucurbitacins and curcumerin, both helps to delay signs of aging. Antioxidants and vitamins in cucumber will remove black spots from face. 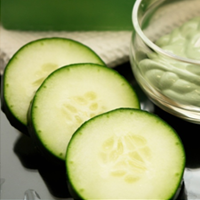 Silica in cucumber will help to synthesize collagen that will rejuvenate your skin. Potato: Potatoes known as the king of vegetables, is highly rich in vitamin C and a good source of vitamin B and potassium. Starch and sugar in potato work as an exfoliator. They remove dead skin cells from your skin and increase the growth of new cells. Minerals in the potato rejuvenate the collagen production. Aloe Vera: We all know that most of the skin care companies make pretentious claims about this wonder gel. Aloe vera contains 90% of the amino acids found in our body. The most abundant antioxidant protein metallothionein, is generated in the skin. It has the scavenging free radical property which helps to reduce dark skin spots. Moreover, it also contains vitamin A, B, C, E along with beta-carotene. Aloe vera acts as an excellent natural moisturizer. Papaya: Do you know that enzyme tyrosinase in our body is responsible for the overproduction of melanin which causes dark black patches on face. Papaya contains the enzyme “Papain”, which blocks the production of tyrosinase in your skin. It’s like an antidote for dark spots on your skin. Papaya helps to exfoliates or shed the dead skin cells and helps to make your skin an even tone. Turmeric: Turmeric, the queen of spices, exemplary part of famous Big Fat Indian Weddings possess many skin benefits. It adds a golden glow to your skin. Turmeric contains curcumin which is a potent anti-oxidant. If you are thinking that how to get rid of spots on face, then turmeric is the answer. Turmeric fights the free radicals and removes dark spots from your face leaving it clean. It also prevents the chronic ultraviolet B (UVB) radiations which cause skin damage, wrinkles formation and melanin formation, a major reason for dark spots. Sandalwood: In today’s era, everyone has a hectic lifestyle. We hardly get time to go spa frequently. But don’t worry; sandalwood will help you to make your skin supple and radiant. Sandalwood has a mild aroma which also helps to reduce stress. It possesses anti-tanning activity which helps to clear complexion and protect from harmful rays. It also exfoliates dead cells, impurities and excess oil. Chickpea: Manganese in chickpea helps to rejuvenate your skin cells and attacks free radicals which are the main reasons for wrinkles. Chickpea contains molybdenum which detoxifies your skin. Chickpea is considered as a perfect scrubber. It helps in exfoliation and shredding off dead skin cells. Chickpea is perfect to treat any kind of discoloration. If the question still wonders you that how to get rid of dark spots on the face you can try some home remedies which will help to remove dark spots on the skin. These DIY are really effective and can work as the magic wand. Direct or concentrated lemon can be harsh for your skin. You can dilute the concentrated lemon. Mix lemon juice with water. Take cotton balls and dip it in the lemon water and apply on the dark spots and leave it for 20mins, rinse it. Avoid using soap. 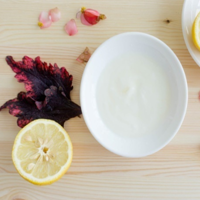 Lemon & Yogurt: Lemon & yogurt…the perfect combination of bleaching agents. This combination will surely lightens your dark spots. Take 1 spoon of fresh yogurt. Add lemon juice in yogurt and mix properly. Apply this paste on dark spots or even full face & sit for 20-30 mins and wash with water. This is the simplest home remedy. You just need potato which is often available in our kitchen. Peel potato and cut it into slices. 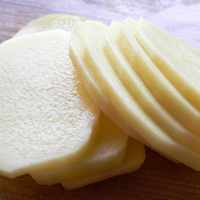 You can rub these slices on the dark spots or you can make a mesh of these potato slices and spread them on your face. Take soaked chickpeas and put them into the blender. Make a paste of the chickpeas and apply it on the dark spots. Turmeric, yogurt/milk & lemon: This remedy is considered as the most favorite remedy of all. 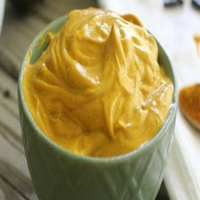 Put one tea spoon of turmeric into yogurt. You can use milk too instead of yogurt. Add lemon into the mixture and mix to form the uniform paste. Avoid formation of clumps. If you are allergic to lemon, you can use honey too. Apply this paste on your face, leave for 30 mins & rinse. 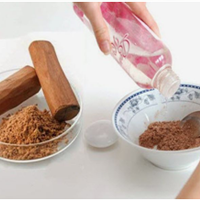 Mix sandalwood powder and milk in a bowl. Both of them will act as the bleaching agent. Add few drops of rose water or glycerin into the paste. This will help to moisturize the skin. Apply the paste on dark spots and leave it for 20 mins. Cucumber & yogurt: Cucumber has both moisturizing as well as bleaching property. Put cucumber & yogurt in a blender and blend properly to form a paste. Apply this paste on your face and leave it for 40 mins. Wash with fresh water. 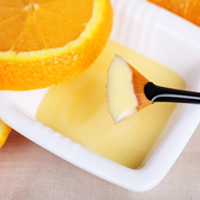 Orange peel, milk & honey: Milk contains lactic acid & orange contains citric acid. Together they will help to lighten the dark spots on your face. Mix orange peel powder, milk and honey in a bowl. 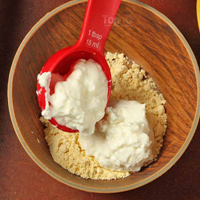 Mix them properly to form a smooth paste. Apply thin layer of this paste on your face and wait until it completely dries & wash face. How to get rid of dark spots by Chemical Treatments? Hydroquinone: Hydroquinone (HQ) is also known as dihydroxybenzene, a hydroxyphenolic compound. Hydroquinone inhibits the enzyme tyrosinase which causes the formation of melanin i.e. dark pigmented spots on your skin. It is considered as the most effective dark spot remover. Retinoic Acid: Retinoid are considered as the common treatment for acne, dark spots, pigmentation or photo induced hyper pigmentation. Topical retinoid such as tretinoin increases the collagen synthesis in dermal cells. Retinoic acid also inhibits the tyrosinase enzyme, resulting in less pigmentation. Glycolic Acid: Glycolic acid is also known as alpha-hydroxyl acid. Sometimes it is combined with other agents because of its skin lightening property. 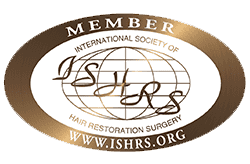 As like other agents, glycolic acid also works by inhibiting the tyrosinase activity. Glycolic acid accelerates the desquamation of pigmented cells. Kojic Acid: Kojic acid is also an anti-tyrosinase agent and is widely used by cosmetic industry for skin lightening. It inhibits the inflammation, reactive oxygen species and melanin synthesis. Kojic acid effectively treats dark spots on skin, hyper-pigmentation, melasma and wrinkles. 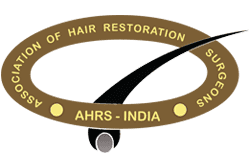 With the advancements in technology, there are various chemical procedures which can be used to treat the black spots or pigmentation on face or skin. Chemical peels: It is also known as derma peeling. Chemical peels help to smooth the skin texture by removing dark spots on the skin. A chemical peel is an ideal solution to treat signs of skin damage due to over sun exposure, aging etc. Microdermabrasion: It is a non-chemical procedure used to treat dull skin, dark spots on face. In microdermabrasion, micro-crystals are used to remove the dead skin cells. This will exfoliate the skin and stimulates the collagen production. Cryosurgery: Cryosurgery is a secure and quick treatment for dark spots and age spots. 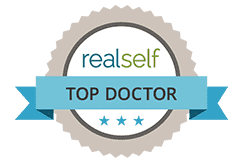 Cryosurgery works to fades age or dark spots by freezing them with the help of liquid nitrogen solution, causing the darkened skin to peel away from the body. It also boosts the collagen production and reduces dark spots on the skin. Do you know the science behind the occurrence of the dark spots on face? What precisely is a dark spot? Dark spots or pigmentation occurs when a localized patch of melanin which accumulates on a specific area on the skin. The process of darkening of skin or pigmentation is referred to as melanogenesis. Mainly it can be located on the forehead, face or cheek bone area. There can be tiny black dots on skin or face known as freckles. What are the factors that cause dark spots on face? There are few triggers that can cause the dark spots on the skin. Women experience more hormonal changes than men. Mostly these occur in women who are pregnant. Stress can also cause hormonal changes. 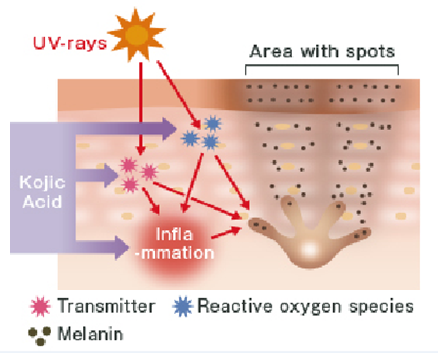 UV exposure causes the maximum melasma. These rays penetrate into the dermal layer of skin, causing the disruption of skin cells resulting in hyper-pigmentation or dark spots on face. These products disrupt the skin mantle and change the skin pH. These products make the skin more sensitive to sun and environment which causes dark spots on the skin. 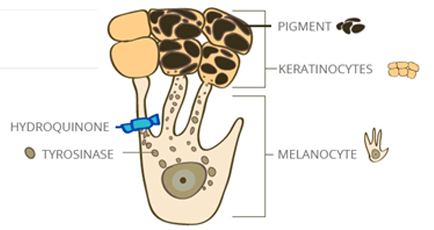 How Melanogenesis or pigmentation occurs? 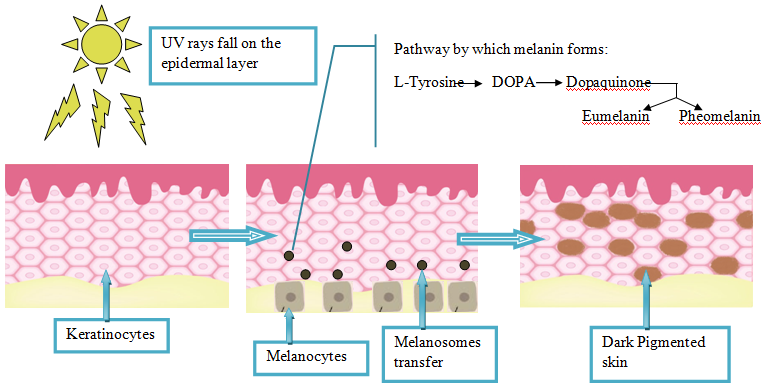 Melanogenesis refers to the production of melanin from the melanocytes. 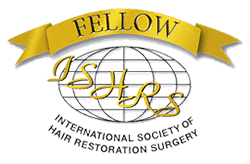 When sun rays fall on the epidermal layer, it results in the maturation of the keratinocytes and transfer of pigments or dark color in the body which reveals the surface color of the body resulting in the dark spots on face or body.